Callooh! Callay! Oh, frabjous day. The unusual folks at Oddworld Inhabitants have quietly done something that deserves to be celebrated: the right thing. They’ve evened out pricing for their New ‘n’ Tasty game across the continents. Oddworld: New ‘n’ Tasty was originally pencilled in for a digital price of £19.99 in the UK and €24.99 elsewhere in Europe. But that didn’t sit entirely favourably alongside the US base price of $29.99. To “ensure as fair a price as possible”, Oddworld Inhabitants have opted to set European prices at £17.99 and $20.99 instead. The price change was revealed today as part of an EU pre-order bonus announcement. New ‘n’ Tasty is a “ground-up” remake of Oddworld: Abe’s Oddysee, the platformer released for PlayStation, DOS and Windows in 1997. It’s getting its PS4 release on July 22, with PC, Mac and Linux to follow later. 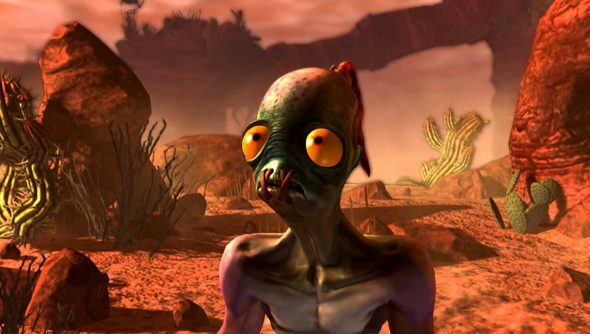 Do you have any particular attachment to the Oddworld series? I know our Jules grew up with it. Explains a lot.